A few months ago I got a couple of these Tee Juice Markers from Jacquard. I thought the broad, fat tip looked absolutely perfect for simple polka dots. Turns out it is! There is no guess work involved! Just squeeze, stamp, and repeat. 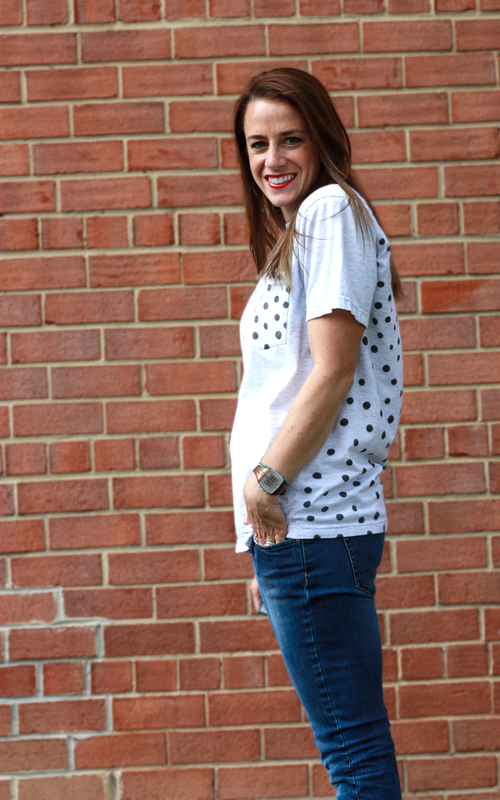 Turning this basic pocket tee into a polka dot pocket tee took me twenty minutes. Enjoy! 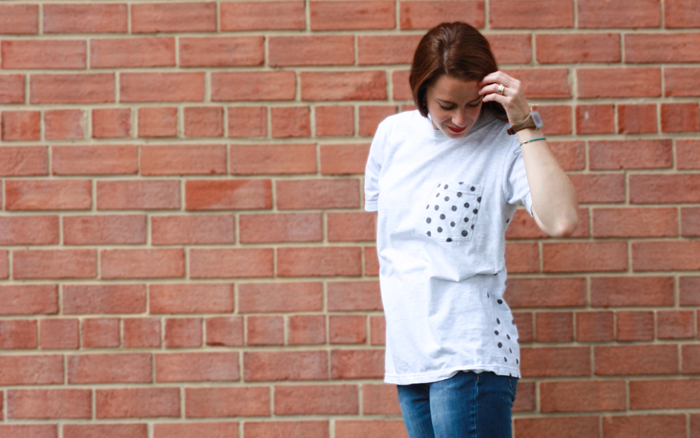 **Important Tip: f you only want polka dots on the pocket, make sure you insert some cardboard or a plastic bag inside the shirt to prevent bleeding through to the back. If you forget this step, you may decide to add polka dots to the rest of the back to make it look intentional…ahem. Of course, then you’ll need to insert something to keep all of these additional polka dots from bleeding back through to the front (I used a piece of poster board wrapped in a garbage bag). 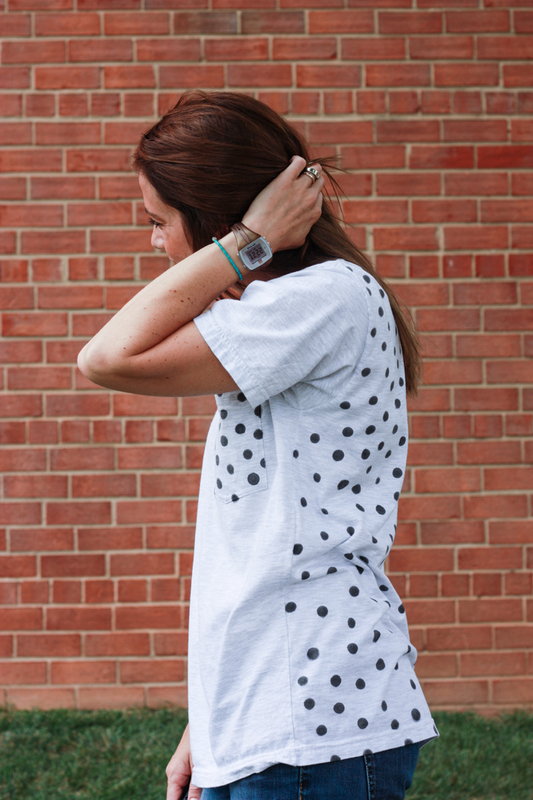 Even though it was a mistake, I love the way the tee looks with the polka dot back, too. Gotta love those happy accidents! 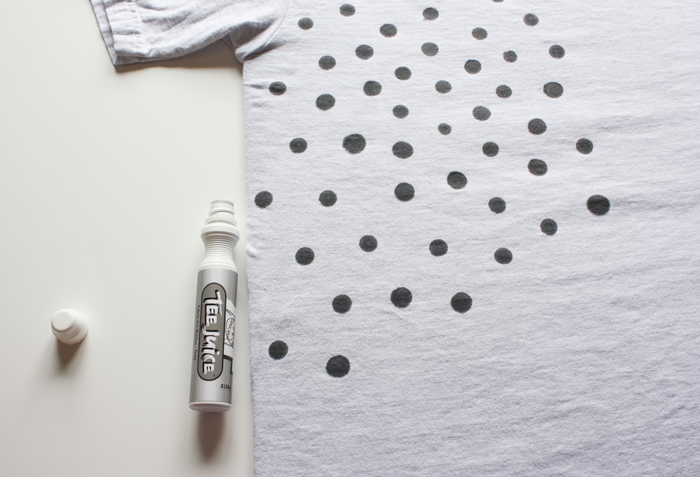 What do you want to polka dot with Tee Juice Markers? 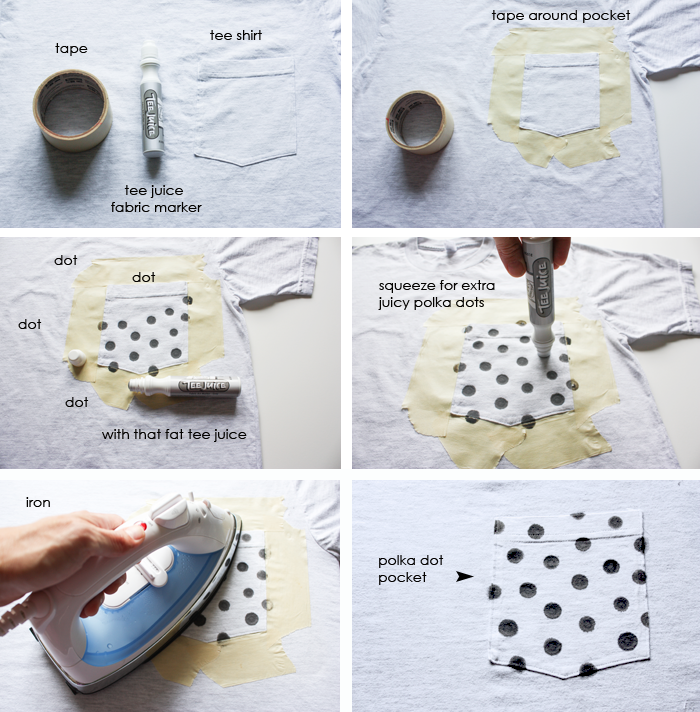 I can see this crazy-easy polka dot method making some seriously cute baby onesies, napkins, curtains, tights, pillows…etc, etc, etc. Did I mention they come in over a dozen colors?! Oh, the possibilities! 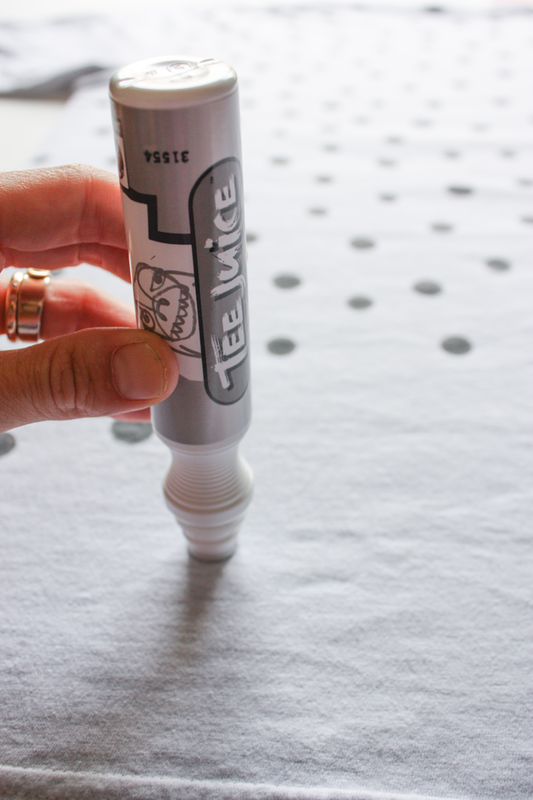 The Tee Juice Marker was provided to me c/o Jacquard, however, this project and post express my own opinions and ideas. Thanks! !